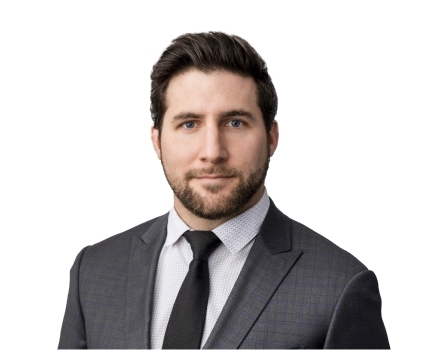 Brad Angove is an associate at Duncan Craig LLP. He received his Juris Doctor from the University of Alberta in 2017. In 2016, Brad acted as the Coordinator for the Civil Law Project of Student Legal Services of Edmonton. He also worked as a shift leader for Student Legal Services, and volunteered with the organization throughout his time in Law School. Brad was called to the Alberta Bar in August 2018. Brad has also volunteered in several other capacities, including with Edmonton Community Legal Center, Civil Claims Duty Counsel, Edmonton Protection Order Program, and Pro Bono Students Canada through their Tax Advocacy Project and Queen's Bench Amicus programs. In his spare time, Brad is very involved in the rugby community. He coaches the women's law school rugby team, and travels occasionally to play in tournaments. He enjoys playing piano and guitar, airbrushing, and travelling with his wife. The partners at Duncan Craig LLP are happy to announce that Brad Angove has been called to the Alberta Bar. Brad articled with the firm this past year and has now become an associate practicing in a variety of areas. Please join us in congratulating Brad on his call to the Bar.